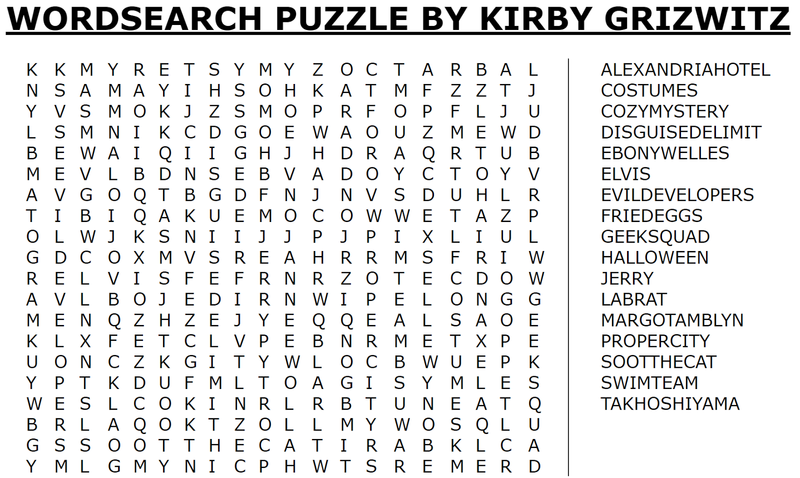 Hi Everybody, Kirby here. I work for Margo and Jerry Tamblyn at Disguise DeLimit, the preeminent costume shop in Proper City, Nevada. (I added the "preeminent" part because my English teacher will read this.) Margo is still recovering from what happened over Halloween (crazy, right?) 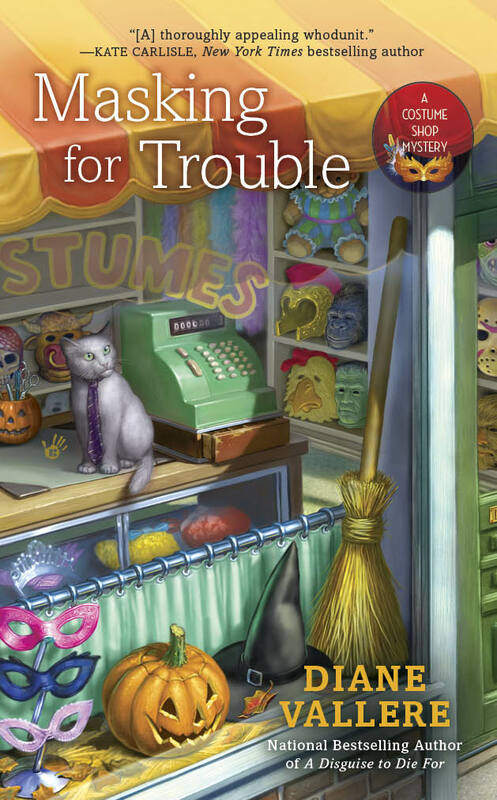 (if you missed it, you can read all about it in MASKING FOR TROUBLE) and Jerry has been busy organizing all of the costumes he picked up around the country on his recent buying spree. They told me it was my job to get a blog post up here today, probably because I did such a good job taking care of the store over Halloween (with the help of my swim team mates). Anyway, this probably isn't what they had in mind, but my coach said now that Halloween is behind me, he expects me to spend my spare time in the pool, not the store, so I don't have a lot of time to write. 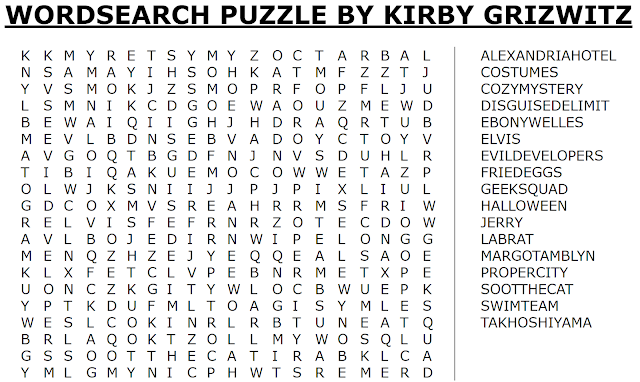 Enjoy this word search puzzle instead! P.S. If you read the book you'll know why I chose these words. If not...you know what you have to do! Love it! Thanks for the fun and posting today!